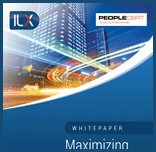 ILX Group deliver bespoke, in-house training on-site - tailored to your organisation's requirements, schedule and focus. We believe we have some of the best classroom training in the industry, providing face-to-face instruction with tutors that have years of experience in both training and in the fields they are teaching. Our tutors will work with you to ensure that your specific training requirements are met. In-house courses are usually more cost effective for training a group of people. The beauty of in-house training is that courseware can be tailored to focus on the areas of study that are most important to your organisation. ILX consultants will work with you to create a training programme that addresses your company's objectives and can tailor courses so that your company standards and practices are communicated throughout. Through our in-depth experience in training large organisations, ILX helps customers incorporate organisation-specific examples and case studies into bespoke solutions. This ensures training matches real business situations closely and that new skills are used to best effect within the organisation's unique cultural environment. Request a quote for in-house training or discuss your requirements with an experienced learning advisor on +44 (0) 1270 611 600.